In order to rev up its design plans, Capital One bought development, design and marketing services firm Monsoon. Financial terms of the deal were not disclosed. 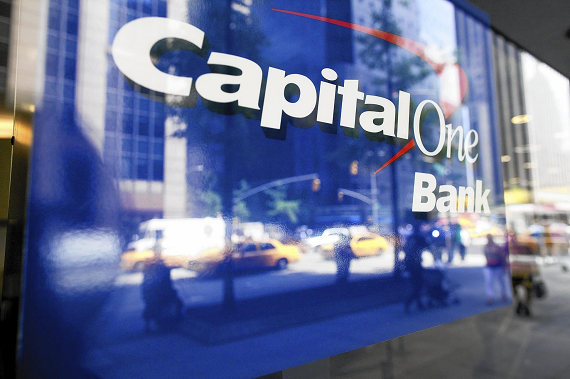 The Oakland-based company has a team of 40 people, only some of which will be heading over to capital one. Monsoon itself will no longer exist, but those workers who don't go to Capital One will continue on as a rebranded agency called Kunai. As for RainFactory, the team shtat handles technical marketing for Monsoon customers, including eCommerce companies, Fortune 500 corporations, and rowdfunding campaigns, that team will be moving to a new office in Oakland. 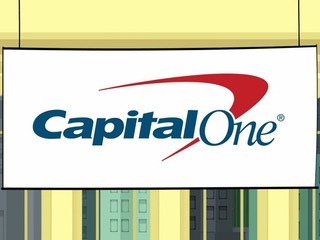 At Capital One, the Monsoon team will be helping the company deliver better products for its customers. Part of the team that will be heading over to the new company includes co-founders Sood, Neil Tolani, and Rishi Mehta. For the second time in two weeks, there was an acquisition in the on-demand laundry space as Laundrapp, an on-demand laundry startups targeting London and other cities in the U.K., acquired rival Washbox. Terms of the deal were undisclosed. Only one of Washbox’s four founders and team, James Parker, is staying on as part of the acquisition. The Washbox app, which was founded in 2014, will be shutting down. This comes only a week after Hassle.com, an online marketplace that connects busy people with local, trusted cleaners, was acquired by Helpling, an online platform for on-demand home services. Splunk, a provider of a software platform for real-time Operational Intelligence, purchased Caspida, a machine learning and behavioral analytics company. The price was approximately $190 million, including approximately $127 million in cash and $63 million in restricted Splunk securities. Splunk's software and cloud services enable organizations to search, monitor, analyze and visualize machine-generated big data coming from websites, applications, servers, networks, sensors and mobile devices. The company will integrate Caspida's machine learning capabilities in order to provide a comprehensive security analytics solution. Caspida's 35 employees will join Splunk immediately. Founded in 2014, Caspida has raised $11.5 million. Zealot Networks, a digital-first media and entertainment company that empowers creators and entrepreneurs, purchased social publisher ViralNova. Terms of the deal were undisclosed, though it it said to be in the $100 million range. ViralNova's technology makes it easy for writers and editors to create different types of articles quickly, including video, listicle and long-form content, and the system enables content discovery and trend identification for editorial consideration. Profitable since its launch in 2013, ViralNova is on track to exceed $35 million in revenue in 2015. The company averages 100 million monthly visits. The acquisition gives Zealot Networks a scalable digital publishing platform, proprietary underlying technology and significant audience for which it will create original programming. Tech education company Pluralsight acquired HackHands, a startup that instantly connects developers with a network of expert programmers. The terms of the deal were not disclosed. HackHands' technology will allow Pluralsight to introduce online mentoring or tutoring to its platform, allowing its students to conntect with a mentor through video chat and screen share. Following the deal, HackHands will continue operating as normal for at least a few months, but it will eventually merge with Pluralsight. Launched in 2013, HackHands raised $400,000 in funding prior to the acquisition. Sony Pictures Television signed an agreement to acquire a majority stake in Internet Media Services (IMS), one of Latin America's largest ad sales and media buying firms in the digital space. No financial terms of the deal were disclosed. Headquartered in Miami, IMS, which was founded in 2005, also has offices in eleven countries throughout the region. Its current commercial partnerships include Waze, Twitter, LinkedIn, Spotify, Crackle, iAds and Foursquare, among others. The deal is expected to close in several weeks pending regulatory approval. Following the acquisition Gaston Taratuta will continue as CEO; Ignacio Vidaguren as COO; Maren Lau as CMO; and Mariano Roman as CCO, and no significant changes to the business are currently planned. Skyview Capital, a global private investment firm, entered into a definitive agreement to acquire the Syncplicity enterprise file sync and share business from EMC. EMC will retain a financial interest in Syncplicity. Terms of the deal weren’t disclosed. Syncplicity is an enterprise-grade online file sharing and mobile collaboration solution. With Syncplicity, IT departments can create rules based on user, group or folder policy to determine whether files should be stored in the cloud or in an on-premise storage array. The transaction is subject to customary closing conditions and is expected to close this month. It was purchased three years ago by EMC. Founded in 2008, it had raised $2.4 million prior to that acquisition.